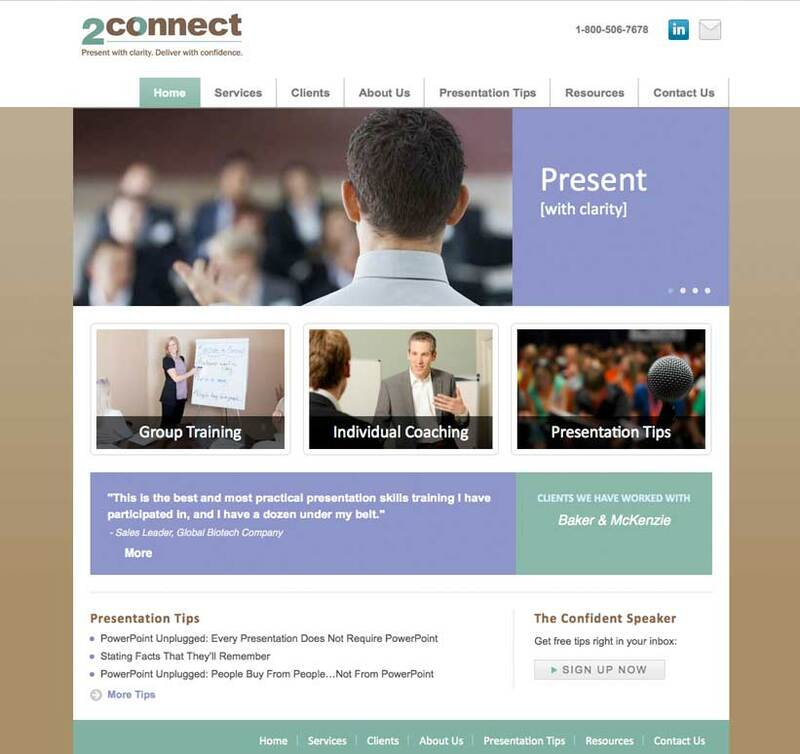 The Challenge: After updating their logo and sales brochure, San Diego corporate presentation training specialist 2Connect wanted to upgrade their aging web presence with a custom WordPress website and blog. 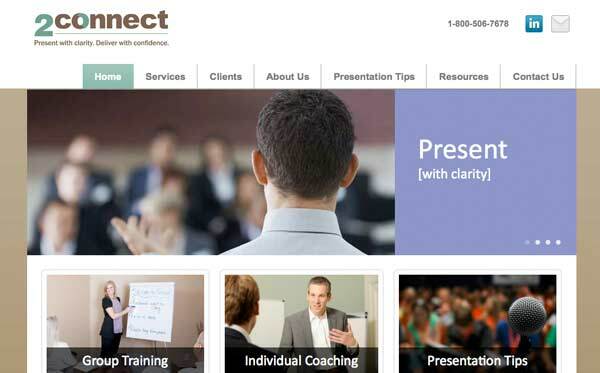 The Solution: Evolution Design created a custom themed WordPress website with a warm brown background color to compliment the brown and green in the client’s logo. A bright purple color was used to add interest in key messaging areas throughout the site. The website uses large images and links to highlight key content and staff. A rotating image slider is featured on the homepage. All areas of the site were built with client editability in mind. A custom usage guide was also created to help the client team make future edits in-house.